Legal technology innovator Peppermint Technology is yet again poised to add two more accolades to its growing list of endorsements. 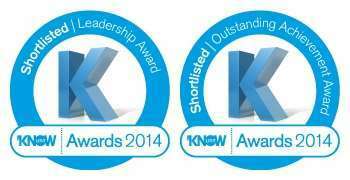 The rapidly growing provider of the Legal Service Platform, built on Microsoft Dynamics, has been shortlisted in two categories at this year’s prestigious industry KnowList Awards: Outstanding Achievement and Leadership. Led by Founder and CEO Arlene Adams, Peppermint Technology has built and delivered an award winning legal business technology platform. Since it went on general release in early 2013 the Platform, which provides full legal accounts, practice management, case management, CRM and document management, has attracted an enviable client list, approaching 20 in total: from innovative start up legal firms such as Riverview Law and Brilliant law, to large heavyweight legal brands like Blake Lapthorn, Taylor&Emmet LLP, Brethertons, Darbys and Mayo Wynne Baxter. Not only has Peppermint achieved what most industry commentators said couldn’t be done, but it has challenged the status quo of the entire legal technology market. The arrival of Peppermint has led to a far more competitive landscape that is driving investment and innovation for all legal firms.